Mr. Chandler's latest stories are proving fascinating fantasy - being based around puzzle and word problems. 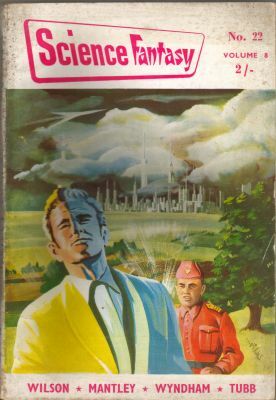 as in "The Maze" last issue and "The Unharmonious Word" in Science Fantasy No. 19. This month he presents another new background idea for his plot - the sequence of numbers.